A conservatory is a room with glass walls and roofing attached to your house that can be used as a sunroom where you can sit and relax. Conservatories can get cold in wet seasons like winter, making them quite uncomfortable to be in. But there are a few things you can do to warm them up and enjoy the space all year round. If you built your conservatory a few years back, chances are that the current roof on it is one made of polycarbonate plastic material which offers minimal insulation and is a huge source of the low temperatures you’re experiencing in it. An effective way to warm up the conservatory is to replace this roof with an insulated one. Some of the common options you can choose are the tiled conservatory roof, glass conservatory roof, and solid conservatory roof, all of which will improve your conservatory’s energy efficiency and keep it warmer. Blinds and drapes are an effective way to retain heat in your conservatory while maintaining a homely look and feel to it. You can open them when the sun is shining bright and get some heat in and then close them when you’ve switched on the electric radiators to preserve the heat. An extra thing to add on to the blinds and drapes is window shutters which serve well to trap cold air and form a barrier on the window that serves to retain heat, keeping the conservatory warmer. Installing an electric radiator is an effective way to keep your conservatory warm. An electric radiator only requires an electrical socket to function. It is advisable that you leave the radiator on 24/7. It is less costly to warm up your conservatory this way as opposed to switching it on and off during cold seasons which uses a lot of energy. You are able to maintain a consistent temperature in the conservatory throughout the year with an electric radiator that’s switched on the entire time. Your conservatory losses a lot of heat owing to the fact that the primary material used to make it is glass. If you built your conservatory a while back, chances are that it’s single or double-glazed. More modern conservatories are triple-glazed. An effective way to keep your conservatory warmer is to replace the glasses on it and have them upgraded. It can be costly to do this but you are guaranteed a warm conservatory and the investment you make on it will be worth it. It is one thing to install an electric radiator into your conservatory but it would be a total waste of time and resources if all the heat is lost via draughts or as a result of poor workmanship in the conservatory. Get all your doors draught proofed and ensure that your windows are fitted with quality seals. 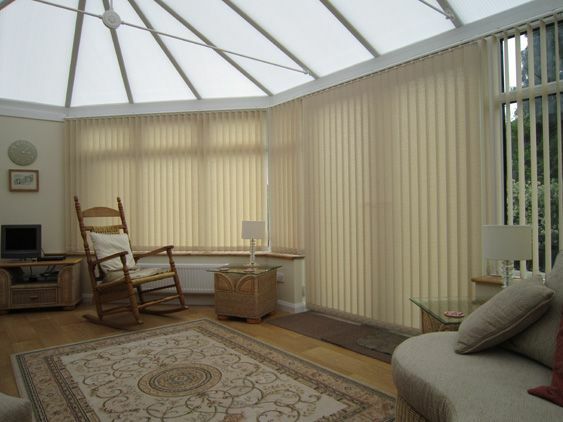 Make sure that your conservatory is fitted by a professional to prevent heat loss through bad seals or joints. When this is done, you are guaranteed of a warmer conservatory. These five tips will help you keep your conservatory warmer. Here’s some detailed information on how to heat a conservatory.